But, what they had found is that when a Austin foreclosed house goes vacant… there is a much greater chance that the house will fall into disrepair. Often times the bank would rather have you in the property even after you stop paying your payments and the foreclosure is started because it wards of vandals and keeps the house in good working order. Get More Real Estate Info ... Subscribe Below! Learn more about us and how and where we buy houses plus find other resources on buying investment properties with us. Like us, follow us, connect! Need To Sell Your Austin TX House Fast? Hud512 Austin House Buyers really got me out of a jam. I would do business with these Austin home buyers again. 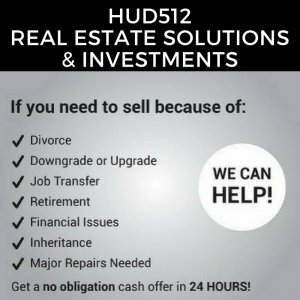 HUD512 is your local Austin TX-based cash home buyers dedicated to helping Austin and surrounding area homeowners who need a solution for their house or mortgage trouble. If you need to sell your house in Austin, then ask us for a free, fast ‘as is’ cash offer for your property. All types, all situations. We’re here to help. We buy houses from homeowners just like you! We also work with area investors with investment property deals. 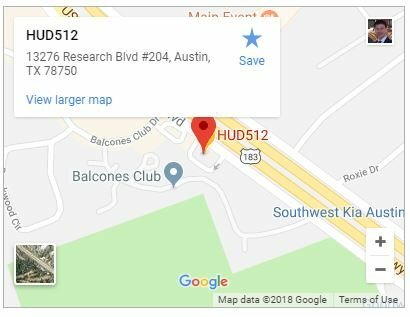 Why Won’t My House Sell In Austin?